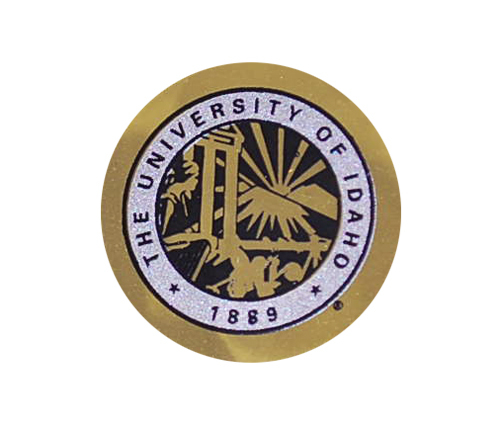 Sheet of 24 metallic silver or gold stickers with the University of Idaho seal. Perfect for notes or graduation announcements! Stickers are 1.125" in diameter (one and one eighth inch). Please make your choice, Gold or Silver, after adding this item to your shopping cart.